EVOO, artisan cheese, and grass fed beef or funnel cakes and fried Snickers bars? Whatever your taste, share it with those who appreciate great food. 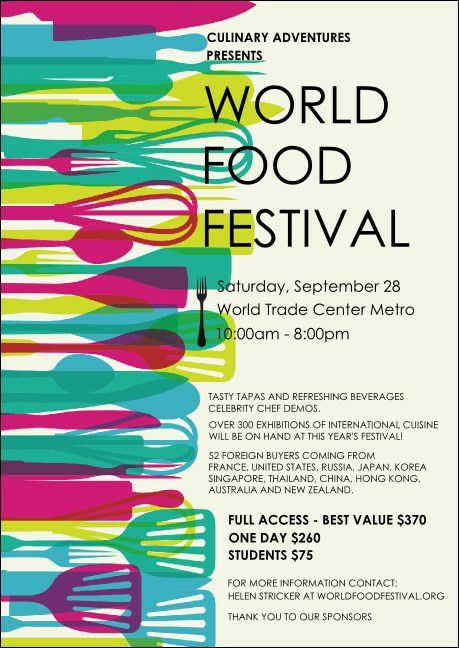 Invite everyone on your mailing to your upcoming event with the World Food Festival Postcard and start celebrating the global cuisine that makes your mouth water. Add some seasoning with the right design from TicketPrinting.com.